Desi Smith/Staff Photo. 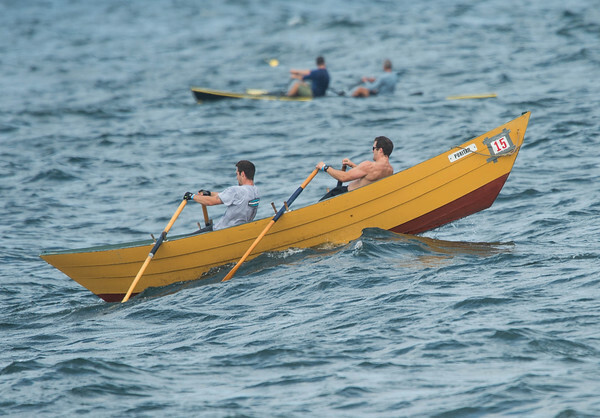 Brothers Dylan and Clayton Morrissey battle rough sea’s and 40 mile per hour wind coming past Lanes Cove while competing in the Blackburn Challenge held Saturday morning. Five competers had to be rescued in that area after being tossed out in the rough sea’s. July 25,2015.